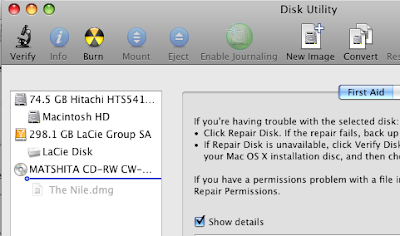 If you have OSX Leopard 10.5 then converting from DMG to ISO is very easy, using Disk Utility. Ug... let me get this straight; a .dmg is a "disk image" file that one can convert to a .cdr using Disk Util and then "magically" convert this to a "disk image", as defined by the International Standards Organization (iso), simply by changing the extension? Makes sense... an iTunes .m4u media file can magically become an .mp4 by changing the extension as well. One can also make Apples' proprietary iPod/iPad connector plug a standard USB by a change of extension, but it makes one wonder why people bother with standards just to ignore them. Yep, thats Apple. Take a standard and rename it eg IEE1394 --> Firewire.